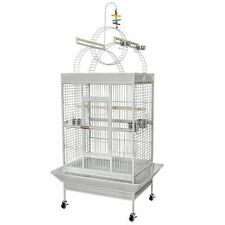 Great toy for small parrot and other birds. 1 Bird Toy. Made of high quality stainless steel and cotton string, durable. 1,The real color of the item may be slightly different from the pictures shown on website caused by many factors such as brightness of your monitor and light brightness. Bird toy only, other accessories are not included. Birds like bright colors. It's colorful and beautiful, your bird will surely enjoy it. Give your pet a treat and have hours of fun watching them play. Parrot Foraging Wheel Gnawed Toy Bite Resistant Food Box Bird Feed Storage Cases. Daily food foraging for birds can significantly reduce boredom. Model: Birds Foraging Wheel. Bird foraging wheel only, other accessories in pictures are not included. Beaphar Spot On Mite Lice For Small Bird Budgies Canary This approved veterinary preparation contains ivermectin and comes in convenient pre-diluted pipettes for ease of use. Simply squeeze the contents of the pipette onto the back of your bird for the treatment of external parasites such as mites lice fleas and ticks. This Spot-On is also effective against internal parasites such as roundworm. 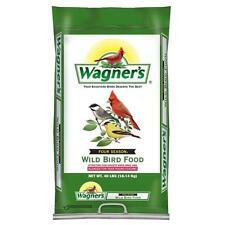 For birds 20-50g. Each pack contains two pipettes. 1 pipette per bird is recommended. Suitable for various poultry, birds, hens, ducks, etc. The rings split in half on a small hinge making them easier to put on the leg. Due to the difference between different monitors, the picture may not reflect the actual color of the item. Chewing biting resistance. Parrot also need a toy to play when they are boring! 1 pc of parrot toy only,other accessories demo in the picture are not included! 1 x Parrot Toy. Hanging on the cage with a hook. An ideal shower perch designed for your little friends to stand, easy install in bathroom. 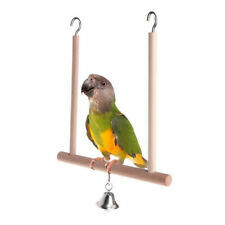 1 Pet bird Shower Wall Stand Rod. Adapter Rod length: Approx. The real color of the item may be slightly different from the pictures shown on website caused by many factors such as brightness of your monitor and light brightness. Realistic Flying Bird Decoy Garden Bird Scarer. 1 x Bird Decoy (Includes hanging hook & wire). -Instruction is not included. 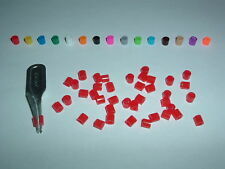 Gavage Tubes 6pcs x Gavage Tubes. Syringe Capacity: 20ml. 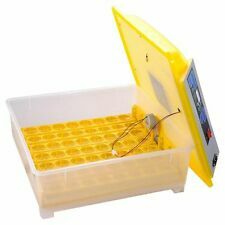 Veterinary feeding syringe kit. 1pc x Syringe. 18 gauge (tubing length: approx. 53mm), curved, for waxbills and other small birds. 16 gauge (tubing length: approx. ). 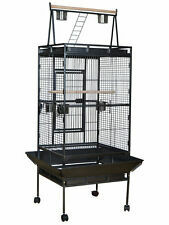 The bird bathtub with hook,you can hang it on any cage。. The bird bathtub with a mirror,can satisfy the birds' habitual needs of looking into the mirror. 1Pc x Bird Bathtub. For a clean healthy bird, Tiger skin, peony, Pacific, horizontal spot, bird, xuanfeng and other small birds. Simply connect your old soda or water bottle to the fountain and you are giving your bird/pet a waterer and keeping your soda bottles out of a landfill! 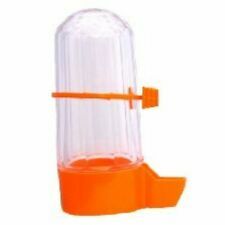 This drinker lets you use a bottle hanging on the outside of your bird and small animal cages. 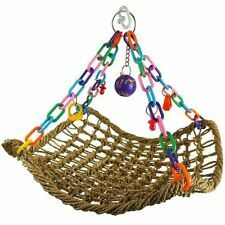 Parrot Pet Bird Hanging Toys Wood Rope Cave Ladder Chewing Colorful Toy. 1 Parrot's Toy. Note: The real color of the item may be slightly different from the pictures shown on website caused by many factors such as brightness of your monitor and light brightness. Size:(L)X(W)32X20cm /12.60"X7.87"(appr.). Easy to use and portable. détail de l'image. Applications: Used on Racing Pigeon Bands Rings Scissors. 1 Racing Pigeon Pliers. High quality Steel pliers/scissors can break the pigeon bands/rings. Exquisite and comfortable handle design, feeling very good.